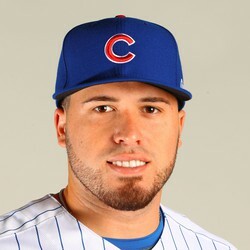 Victor Caratini will undergo Surgery on Monday for a broken left hamate (wrist) bone. He injured his hand when taking a swing before hitting his second double of the night on Thursday. Caratini's injury will keep him sidelined for 4-6 weeks. It's likely he will have trouble finding a lot of power upon his return so he's likely a cut in most redraft leagues unless you have a lot of IL space. Caratini is 8-for-14 on the young season but hamate fractures are famous for sapping power from hitters even when they return to the field.